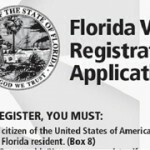 As discussed in this blog, Florida’s attempt to remove what may be thousands of non-citizens from voter rolls has generated controversy, with allegations of partisan motives being made on all sides. Putting aside the partisan arguments, Florida’s efforts might also violate federal law. Under the National Voter Registration Act of 1993, states are prohibited from engaging in a program to “systematically remove ineligible voters” within 90 days prior to a federal primary or general election. There are exceptions to the 90 day rule (removing dead people and felons), but the exceptions don’t appear to include removal based on non- citizenship. Since a federal primary is set in Florida on August 14, the effort to remove non-citizens from the rolls is clearly within the 90 day window. On May 24th several groups put the Florida Secretary of State on notice of the potential violation of law in this letter. 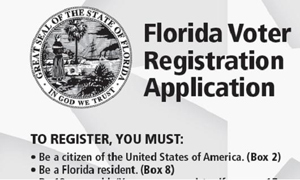 If Florida is barred from removing non-citizens from the voter rolls, expect a large number of voter challenges on election day. READ THIS UPDATE. This entry was posted in Election contests, Florida Voting Issues, News, Voter challanges, Voter fraud, Voter registration, Voting Rights Act and tagged Flordia election controversy, florida election attorney, Florida election contest, Florida election disputes, Florida election fraud, Florida election law, florida election lawyer, florida election problems, Florida right to vote, Florida vote challenges, florida voter registration law, National Voter Registration Act, Thomas Shults, Tom Shults, voter fraud, voter registration. Bookmark the permalink.